I was really, really, genuinely excited to go along to the Wiggle Team Honda launch this morning with Total Women’s Cycling. Women’s cycling fascinates me; these women are amazing and to witness the birth of a brand new professional female team felt pretty monumental. I seriously respect and look up to these women and we all know how badly supported they’ve been in the past, so this first step forwards could be the start of something huge. Put it this way, with serious investment in Wiggle Honda, competing female road teams will have to step things up a notch too, so hopefully we’ll see greater support for female teams, meaning better results, more exciting races, better coverage and more. Their investment will also nurture a new generation of talent and provide inspiration for young girls who’ll hopefully feel that what they do on two wheels is as important as what men do. Following the announcement that dynamite track trio, Laura Trott, Joanne Rowsell and Dani King will be focusing on road racing with the team this year, I honestly can’t wait to see how things work out. It’s great to follow on from our successes at the Olympics with another exciting year for women’s cycling. 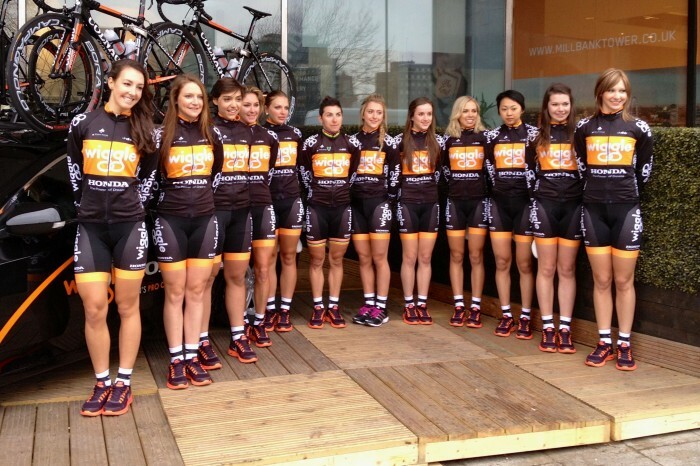 Read more about the team and their goals on Total Women’s Cycling. And keep an eye out for my chat with owner and manager of the Wiggle Honda Team, Rochelle Gilmore, coming soon.